Becoming a doctor is not an easy task, but it is possible. You'll have to put in a lot of work, studying and be dedicated. If you're not familiar with what it takes to become a doctor then definitely pay attention. I'm going to outline the main steps it takes to become a doctor and I want to remind you this is just an outline so this is not meant to be completely comprehensive but it will give you a very good overview of the process. A lot of credit goes out to those who are physicians. You will never understand the sacrifices on so many levels that it takes to be a doctor. And we all know when our loved ones are sick we only want the best care possible. Doctors can never have an off day especially surgeons because what they do can mean the difference between life and death. Now that I've set the state for things let's jump into things and discuss the first hurdle you'll have to overcome on your way to putting the M.D. behind your name. 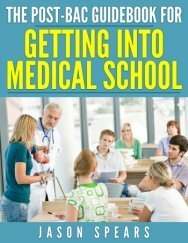 To get into medical school you're going to need to attend a college or university once you finish high school. This means spending four years taking courses in the sciences (you can major in whatever you want though) which will give you a solid foundation to begin medical school. At the end of your college years you will take the Medical College Admission Test (MCAT). The MCAT is designed to test your reasoning ability and determine if you have the knowledge base to be successful in medical school. Getting into medical is not easy because you need to have extracurricular activities that show you understand what it means to be a physician, most premed students will volunteer in a hospital or nursing home to get some health care experience. Others will conduct research because medicine is science, so being comfortable in a laboratory environment is a good. 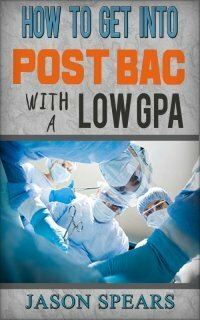 Finally, you actually need to apply to medical school if you want to become a doctor. The application process for medical school is anywhere from four to nine months, but can vary depending on a number of situations. This is actually the hardest part of becoming a doctor... getting into medical school. Over 60% of applicants to medical school are rejected. Ouch! So you have a better chance of tossing a coin in the air and getting the heads or tails correct than you do of getting into medical school. Your only saving grace is that once you are accepted into medical school it's practically guaranteed you will become a doctor. The completion rate of medical school hovers well above 95%. Medical school can basically be divided into two distinct halves at most schools. But if you want to know more about how long medical school is go here. Your first two years of medical school curriculum are called the basic sciences and it means exactly that. You'll be in the classroom and have lab where you will learn the basics of medicine. If you're really curious here are the subjects taught in medical school. Before you can make it out of the basic sciences you have to take a standardized exam called the United States Medical Licensing Examination (USMLE Step 1) which is a comprehensive exam covering all the material you learned during the first two years of medical school. The goal is to give you a real feel for the many opportunities and career paths you can choose as a doctor. During your fourth year of medical school you will go on interviews in the specialty area that you want to practice. You are interviewing with program directors to see if you will be matched to their residency program to continue working towards becoming a doctor. You will find out where you are matched for your residency in the spring of your fourth year of medical school and all the announcements are made on the same day. Finally, you will graduate from medical school in late spring/early summer and have your Medical Doctor degree. You're a doctor now, but you don't know the ins and outs of practicing medicine. Residency is the time where you learn the everyday skills of being a doctor and you can think of it as being an apprenticeship. This is a very intense period of training and the most grueling aspect of becoming a doctor. At a minimum you will be spending over 80 hours a week working in the hospital. The first year of residency is referred to as an internship. Then it's onto what's called residency training. Your residency years will vary depending on what medical specialty you MATCHED into during your 4th year of medical school. As you can see the longer residencies are where you have to learn how to perform specific procedures which can only come through practice and lots of it. Again, the best way to think about your residency is to think of an apprenticeship or being a very lowly paid intern in the working world. Once residency is completed you can take the boards and become certified by a national organization of your medical specialty and licensed by the state to practice medicine on your own. Some doctors do not stop their training after they complete residency, instead they elect for more training and further subspecialization. For instance, a radiologist can complete a diagnostic radiology residency and then complete a one-year fellowship in interventional radiology. Many general surgeons will sub-specialize for one to three years to be recognized as: thoracic surgeons, colon & rectal surgeons, etc. Also an ob/gyn can receive a three-year fellowship in pelvic surgery. As you can see there is a lot of training which goes into becoming a doctor. Becoming a doctor is not a short or quick process, but I believe the rewards far outweigh the costs. In sum, you will spend anywhere from seven to twelve years after college training to become a doctor. Time waits for no one and will pass you by regardless of your career choice so you might as well pursue medicine if it's in your heart.